This substantial 5 bedroom, 4 reception room detached family residence was constructed in 2004 by locally renowned Bayview Developments and is built to a high specification on an elevated position, taking full advantage of the stunning views across Parkstone Golf Course. 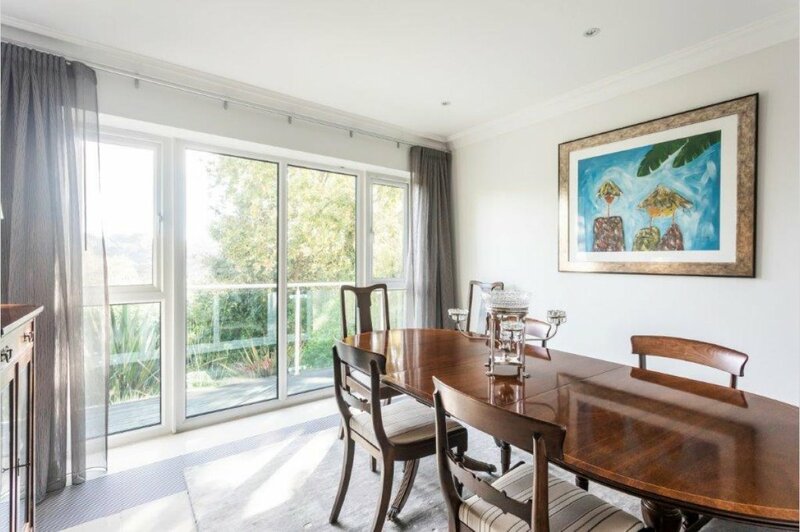 The Fairway offers immaculate and versatile accommodation, arranged over four levels and extending to approximately 3,364 sq ft, including the double garage, and enjoys beautifully landscaped gardens. The property is approached via a front driveway with double garage, designed with space to allow for the installation of a lift which would emerge adjacent to the house. The tiered frontage has steps leading up to the main entrance, incorporating established planted borders and glass balustrades, to a decked terrace. Upon entering the property you are greeted by a palatial reception hall with Porcelain floor tiling and an adjoining guest cloakroom. Double doors open to the formal lounge with an attractive central fireplace and garden aspect. 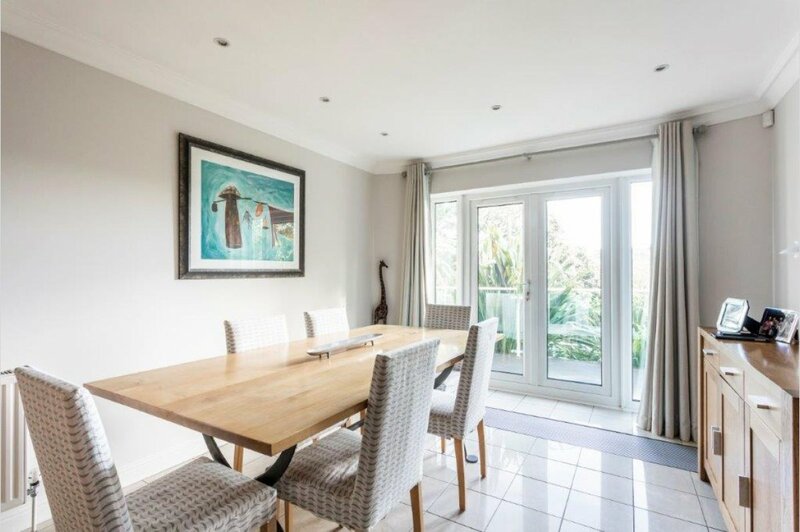 The formal dining room, also with Porcelain floor tiling, enjoys a large picture window with golf course views. 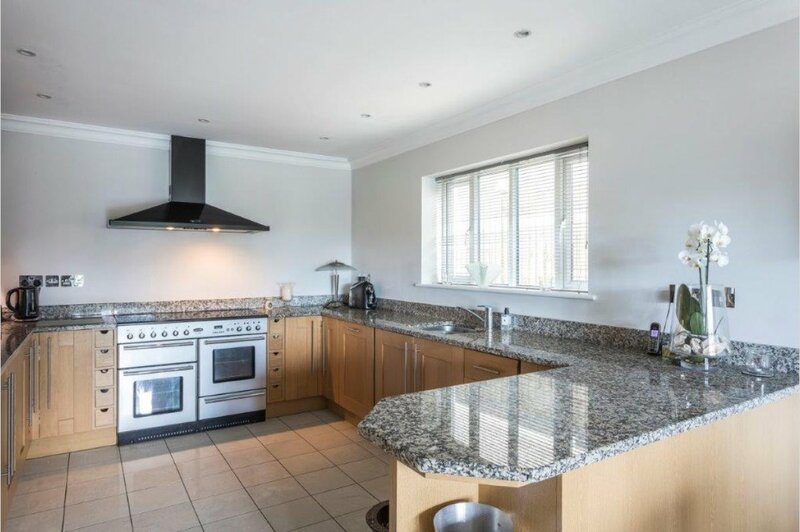 The kitchen/breakfast room presents a quality range of units in light oak with integrated appliances, range cooker and American style fridge/freezer complete with granite work surfaces, an area for table and double doors opening onto the front terrace with golf course views. There is also a separate utility room with appliances and direct side access. 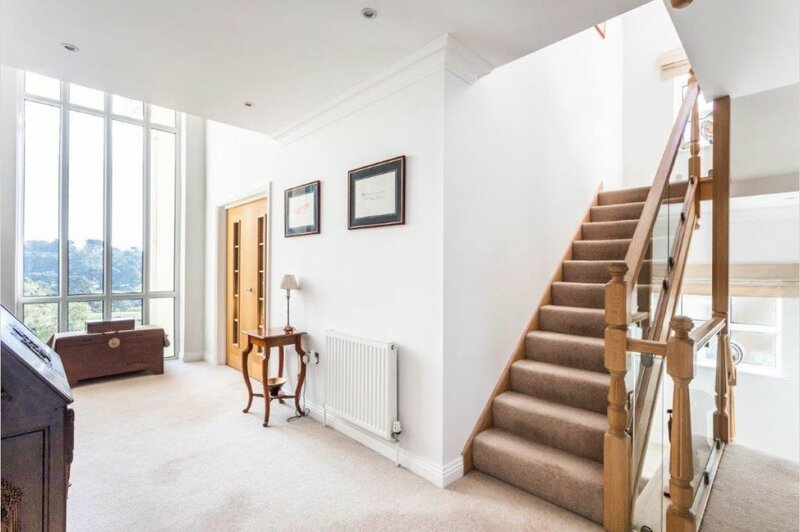 The first floor landing has an impressive vaulted ceiling and tall feature window to the front elevation. 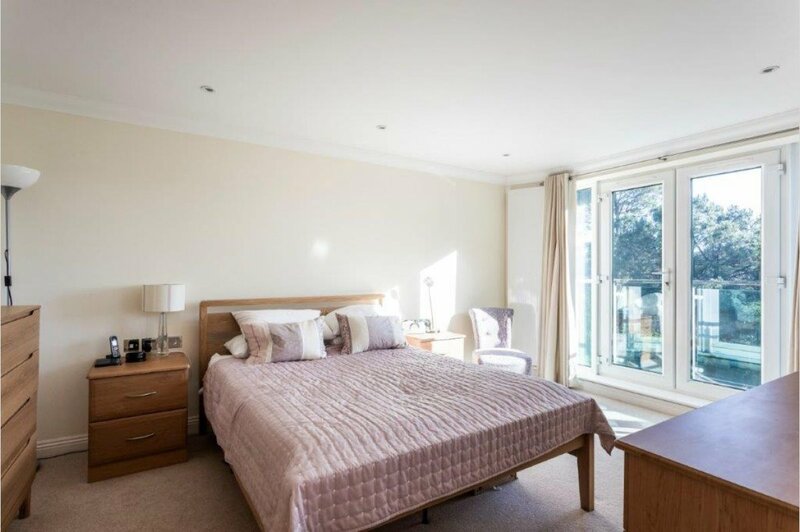 Double doors open to a family reception room, or sixth bedroom, with an adjoining balcony. 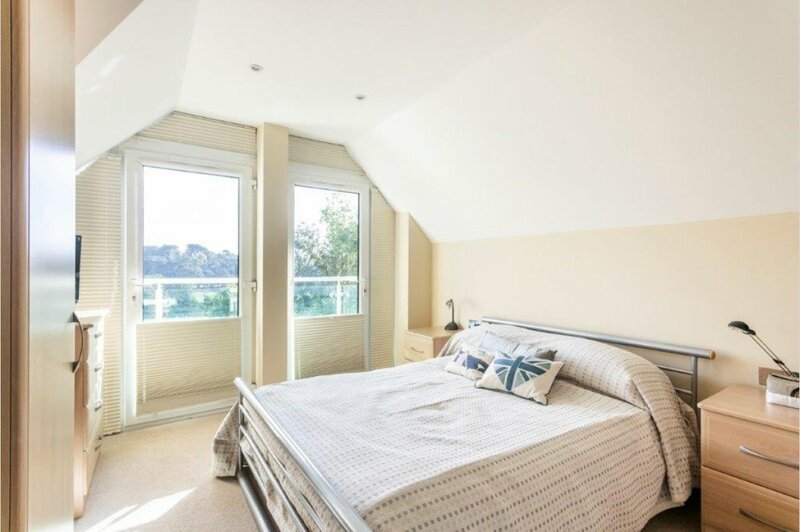 The opposite bedroom also benefits from a balcony, dressing room and en-suite shower room. 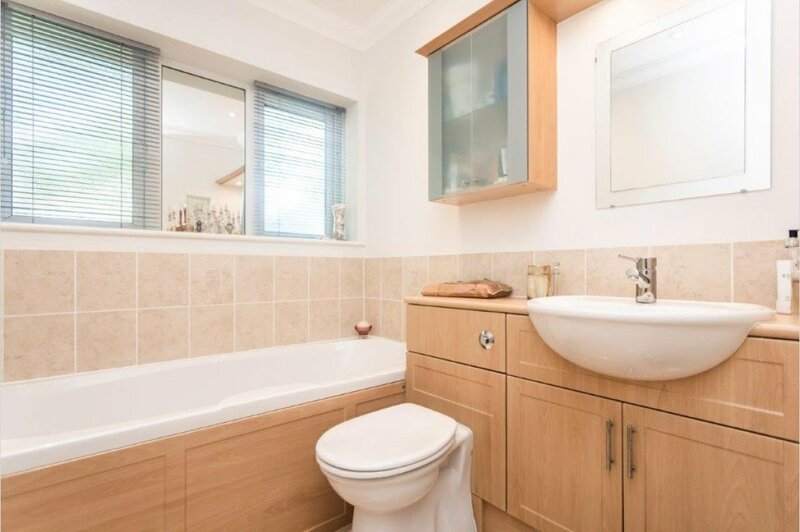 In addition there are two further double bedrooms on this floor, both served by a family bath/shower room. The second floor galleried landing has a useful store room with an adjoining linen cupboard housing the boiler and high pressured hot water system. 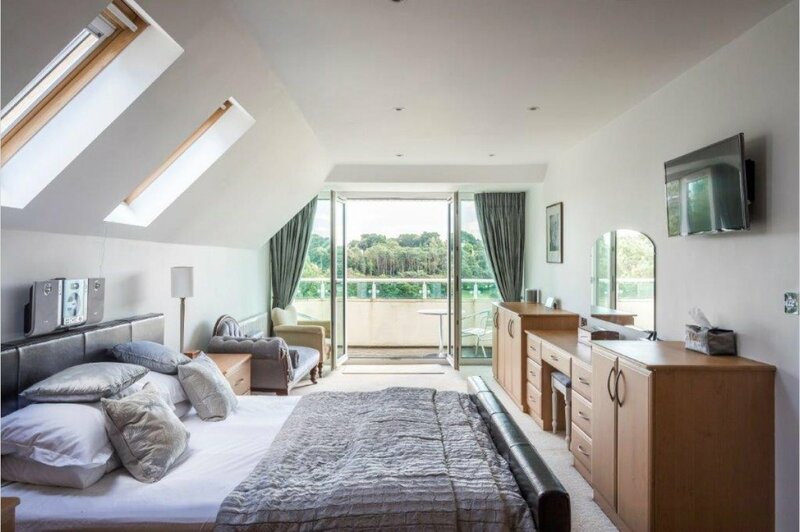 There is also a 31� master bedroom suite with a dressing area, en-suite bath/shower room and double doors opening onto a roof terrace with fabulous golf course views. 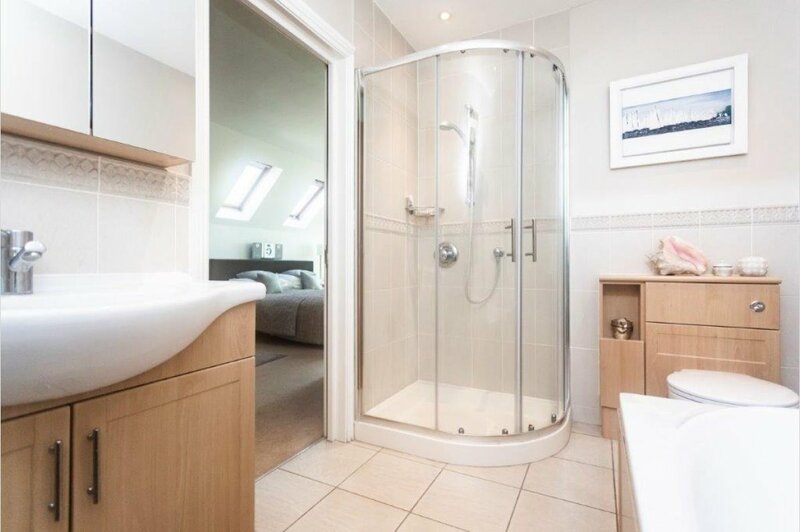 The adjacent bedroom has an en-suite shower room and Juliette balcony. 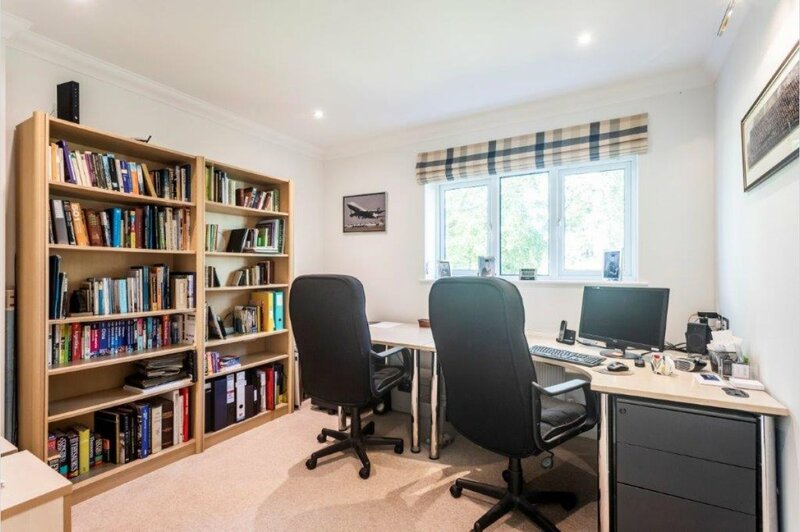 Externally, the property enjoys a beautifully landscaped south west facing rear garden with established and well planted borders offering a high degree of privacy. 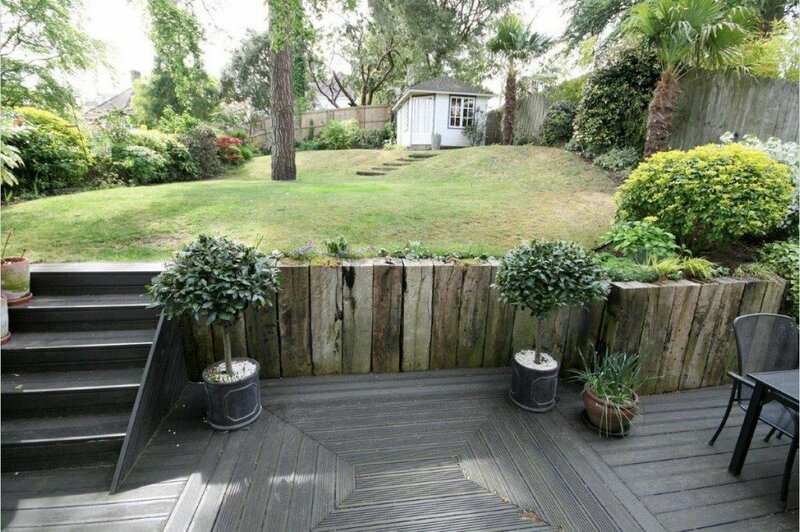 Immediately adjoining the property is a decked terrace, ideal for entertaining. The garden also benefits from a timber summer house with power connected, outside lighting, power and water tap. There is also a doctors� surgery and chemist, along with the much sought after Lilliput First and Baden Powell Junior Schools. Lilliput offers good communications to the town centres of Poole and Bournemouth. Transport communications are excellent as the main line railway stations at Poole, Parkstone, Branksome & Bournemouth provides services to Southampton and London. The area offers many sporting facilities including the prestigious Parkstone Golf Club & Yatch Club close by.